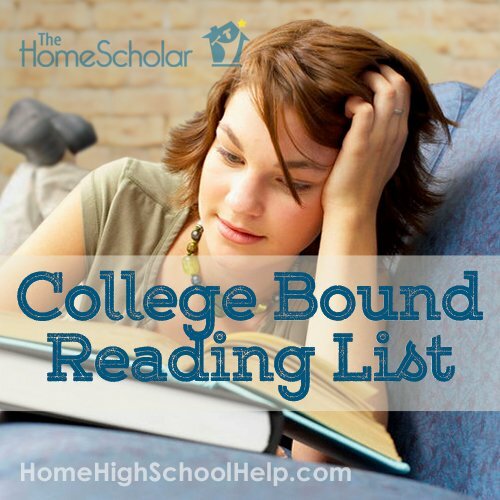 Welcome to The HomeScholar’s college bound reading list! 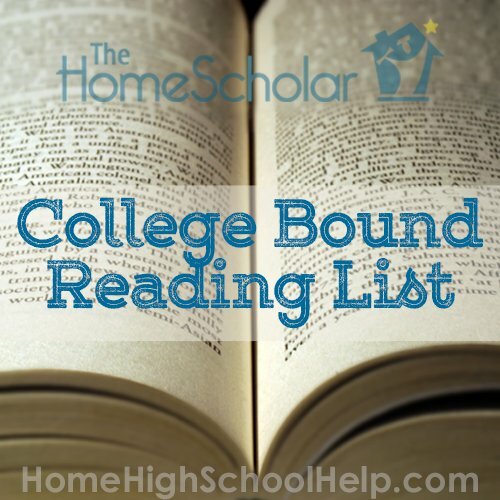 The following selection of books are drawn from a variety of different reading lists, and represent the books that we at The HomeScholar are both familiar with and feel comfortable recommending to college-bound students. It’s not possible (or even desirable!) for any student to read all the books on every college bound reading list, and not every book will be appropriate for every child. However, reading from a broad cross-section of both American and World literature will help prepare your students to understand a variety of different cultures and times, and strengthen their knowledge and understanding of great literature. We hope you enjoy this selection! This post contains affiliate links. If you click and buy I make a few pennies, but not enough for a latte. Two children are abandoned by their mother and sent to live with their devout, self-sufficient grandmother in a small Southern town. A young white hunter brought up in the Delaware Indian tribe, has to defend settlers before returning to the Iroquois who have allowed him parole. The story of the adopted son of the Mohicans, and the daughter of a British colonel, during the French and Indian War. A teenager enlists with the Union Army during the Civil War in the hopes of fulfilling his dreams of glory. A portrait of the 1920s in America, this is the story of money, greed, excess, and a man in love. A survival story that takes place after a nuclear attack destroys all civilization except for a small Florida town. Written initially to guide his son, Franklin's autobiography is a lively, spellbinding account of his unique and eventful life. This book chronicles several generations of a slave family, from a West African youth captured by slave raiders and shipped to America in the 1700s, and concluding with the Civil War. Set in Puritan Boston, this book tells the story of a woman who conceives a daughter through an adulterous affair and struggles to create a new life of dignity and repentance. The life of an American soldier and a British nurse against the backdrop of the First World War, cynical soldiers, fighting and the displacement of populations. A young woman overcomes the challenges of being both deaf and blind, with the help of her devoted teacher, Anne Sullivan. John F. Kennedy profiles eight of his historical colleagues for their acts of astounding integrity in the face of overwhelming opposition. Exploration of civil rights and racism in the segregated southern United States of the 1930s. The story of a sophisticated young woman who moves to a small town in the American Midwest in 1912 and struggles against the small-minded culture of the citizens who live there. In the 19th-century Klondike Gold Rush, a domesticated dog is snatched and sold into a brutal life as a sled dog. A narrative of spiritual conversion that outlines a controversial Black Muslim’s philosophy of black pride, black nationalism, and pan-Africanism. An introspective dramatic play concerning the expectations we have for our lives, our failings, and our inability to find satisfaction with our place in the world. The adventures of a wandering sailor and his voyage on a whale ship commanded by Captain Ahab, whose one purpose is to seek out a great white whale. Paine's daring prose paved the way for the Declaration of Independence and the Revolutionary War. Stories and poems from one of the most famous creators of detective stories and supernatural tales. Traces the friendship between two Jewish boys growing up in Brooklyn at the end of World War II. Explores the workingman's lot at the turn of the century: the backbreaking labor, the injustices of "wage-slavery," the bewildering chaos of urban life. This is the tale of a poor family of tenant farmers driven from their Oklahoma home by drought, economic hardship, and the Great Depression. A slave whose child is to be sold, escapes her beloved home on a plantation in Kentucky and heads North, avoiding hired slave catchers, aided by the underground railroad. Huck Finn and his old friend Jim journey down the Mississippi river together. A humorous and nostalgic book depicting the carefree days of boyhood in a small Midwestern town during the mid-1800's. An acerbic account of the author’s travels in Europe and the Near East, humorously describing both the places he visited and his fellow passengers on the voyage. The story of two African-American sisters, a missionary in Africa, and a child-wife living in the South, told through their letters to each other. Autobiography of an influential spokesman and former slave, who became a major figure in the struggle for equal rights. A study of life, love, and death in a New England town at the turn of the 20th century. English country life is described in this much-loved English romance novel set in a society obsessed with profitable marriage contracts. This tale of manners and courtship in the 19th-century English countryside follows two sisters; one sensible, and the other impetuous. In this romance and suspense novel, the orphaned governess Jane Eyre has a brooding, moody, wealthy employer with a terrible secret. A masterpiece of English romanticism, tells the story of love and revenge. A fantasy about young Alice, who follows a white rabbit down a rabbit hole. An eccentric old gentleman from La Mancha convinces himself that he is a knight. With his portly peasant squire, he sets out "tilting at windmills" to right the wrongs of the world. Recounts a journey into the Congo and reveals the extent to which greed can corrupt a good man. An English sailor is marooned on a desert island for nearly three decades. He struggles to survive in extraordinary circumstances, and wrestles with fate and the nature of God. Traces the development of Pip from a boy of shallow aspirations to a man of depth and character. David Copperfield lives through trials and tribulations, first at a boys' school and then as a young man in London before he goes to live with his great-aunt and eventually finds happiness. Set during the French Revolution in the cities of Paris and London, a French aristocrat is accused of spying. At a casino in Germany, a Russian family awaits news that a wealthy relative has died, but to their dismay, she arrives and begins gambling away their inheritance. A poverty-stricken young man is faced with an opportunity to solve his financial problems with one simple but horrifying act: the murder of a pawnbroker. Traces the life of the Jewish girl who hid with seven other people in an attic for two years in Nazi-occupied Holland, and chronicles her day-to-day life in a diary. A group of schoolboys stranded on an island soon revert to the state of primitive man, and engage in a struggle between savagery and civilization. Discover the thrilling, enchanting, and fascinating world of Western mythology, from Odysseus's adventure-filled journey to the Norse god Odin's effort to postpone the final day of doom. An epic poem about Achilles’ vengeance against Agamemnon and the city of Troy at the end of the Trojan War. The story of Odysseus' difficulties in returning home after the Trojan War, which was won by the Greeks. Set in 19th century France, this classic novel follows Jean Valjean as he tries to lead a new life after 20 years in prison. A beautiful story of redemption and salvation. The basis of the world's longest running musical. This futuristic novel warns of the dangers of sacrificing freedom and individuality for scientific progress and social stability. A seemingly typical man wakes up one morning to discover he has been transformed into a gigantic insect. The story of friends on a dangerous and fantastic journey that will threaten their lives and our universe. This satirical piece portrays human life from the vantage point of Screwtape, and his correspondence with a novice demon in charge of the damnation of an ordinary young man. The world's most famous master plan for seizing and holding power. A disturbingly realistic and prophetic work on what it takes to be a prince...a king...a president. A well-respected German scholar grows dissatisfied with the limits of traditional forms of knowledge—logic, medicine, law, and religion—and decides that he wants to learn to practice magic. Often considered the greatest epic in any modern language, this is the story of the revolt of Satan, his banishment from Heaven, and the fall of man and his expulsion from Eden. Domesticated animals stage a revolt against their cruel master. They soon find they have succeeded in exchanging one form of tyranny for another. A monumental work of moral and political philosophy, presented as a dialogue between Socrates and others discussing the notion of a perfect community and the ideal individuals within it. Through the eyes and mind of a German private, the reader shares life on the battlefield during World War I. Returning from fighting in the Crusades, the young Saxon knight Ivanhoe must fight to regain the woman he loves and to protect the social order and monarchy of England. Tampering with life and death, Dr. Frankenstein pieces together salvaged body parts to create a human monster. The tale of two young star-crossed lovers and their families, who are caught in a destructive web of hatred. After a shipwreck, twin siblings Viola and Sebastian wash up on the shores of Illyria. A story of mistaken identity and love entanglements. This thousand year old masterpiece follows Marcus, a Roman officer in Nero's army, as he falls in love with a Christian woman. The basis of the 1951 movie of the same name. This novel describes the oppression of totalitarian regimes, and the terrors of Stalin's prison camps. Antigone defies her uncle, the new ruler, which starts a conflict between young and old, woman and man, individual and ruler, family and state. Dr. Jekyll wants to rid his soul of evil, and in doing so creates the monstrous alter ego Mr. Hyde. Biting satire of British and European society, it follows a shipwrecked castaway encountering fantastical lands and creatures, including the petty, diminutive Lilliputians. Covering America's call for a free press to its embrace of the capitalist system, this book enlightens, entertains, and endures as a brilliant study of our national government and character. Set against the backdrop of Moscow and St. Petersburg high society in the latter half of the nineteenth century, a woman forsakes her husband for a dashing count and brief happiness. Bilbo Baggins, a respectable, well-to-do hobbit, lives comfortably in his hobbit-hole until the day the wandering wizard Gandalf chooses him to share in an adventure from which he may never return. Tracks the evolution of five aristocratic families during the Napoleonic wars. A novel about a Jewish charioteer named Judah Ben-Hur and Jesus Christ. I suggest the unabridged version. A time traveler steps out of his time-transport machine in the year 802,700 to find Earth populated by a race of people supported by a slave class. The first modern tale of alien invasion, this is a story of tentacled Martians attacking the Earth. This is a play about two men who bend the truth in order to add excitement to their lives. For reluctant readers, focus on very short classic books. There are many great literary works that are remarkably short. Consider reading aloud the first chapter, to get them started with the story and pronunciation of character names. The story of Henry Fleming, a teenager who enlists with the Union Army in the hopes of fulfilling his dreams of glory. At a casino in Germany, a Russian family awaits news that a wealthy relative has died, but to their dismay, she arrives and begins gambling away their inheritance at an alarming rate. As fortunes are squandered and gained, lives are increasingly tied to the fickle rules of chance. The exciting story of an old Cuban fisherman and his supreme ordeal: a relentless, agonizing battle with a giant marlin far out in the Gulf Stream. Set in Yukon Territory during the 19th-century Klondike Gold Rush, a domesticated dog is snatched and sold into a brutal life as a sled dog, where he struggles to survive. The story of an innocent young man unable to defend himself against a wrongful accusation. Frankenstein is a young man fascinated by science and attempts to unlock the secrets of life and death. In Depression-era California, two migrant workers dream of better days on a spread of their own, until an act of unintentional violence leads to tragic consequences. A young, strong, and poor Mexican-Indian pearl diver must find a way to pay the town doctor to cure his son. Then he discovers an enormous pearl the size of a seagull's egg when out diving. Focus on books with active main characters. Again, short books may be helpful, but it’s even more important to choose active main characters, rather than primarily pensive characters. Here are just a few examples. In the extreme conditions of the Yukon during the 19th-century Klondike Gold Rush, a domesticated dog is snatched and sold into a brutal life as a sled dog, where he struggles to adjust and survive the cruel treatment he receives from humans, other dogs, and nature. The young Huck Finn flees with his old friend Jim, and they journey down the Mississippi River. 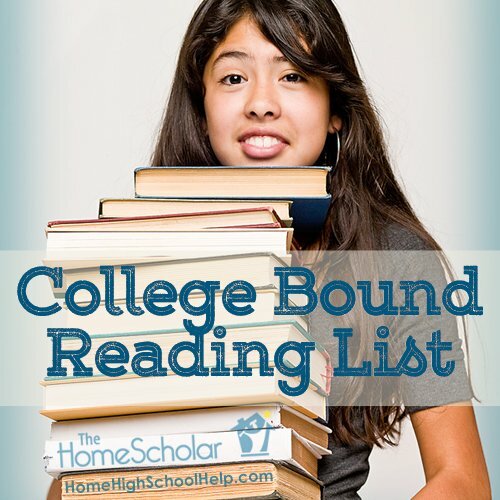 A variety of colleges have said that homeschool applicants may have an over-emphasis on classic literature, and that reading lists should include popular literature. Some colleges have mentioned that inclusion of current literature shows “socialization.” You may want to include some popular fiction in your student’s reading list. For example, this recent book has become a modern classic. The story of black maids raising white children in Mississippi during the 1960s civil rights movement. All families are different, and therefore all families must decide their own standards for the books their children read. Some of these books are listed on almost every reading list, but that doesn’t mean they are perfect for you. 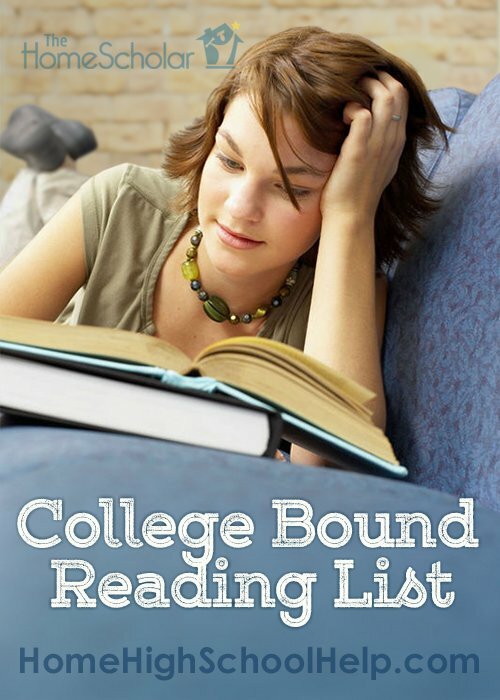 This reading list is drawn from a broad cross section of college bound reading lists. However, parents assume all responsibility for their children’s education. If you are not familiar with something on this list, please review the book first. Do you have younger children? If so, don't miss out on our middle school reading list. You can get it here: . College admission is extremely competitive! Comprehensive records will set your student apart. The Comprehensive Record Solution is geared for parents who know they need to do more than create a transcript. It will enable you to create the transcript but the focus is directed at much more, including course descriptions, reading list, activities and awards list, and work samples - all the elements that go into a comprehensive record. With the Comprehensive Record Solution, you will be able to create high school records that win college admission and scholarships. Get step-by-step training, cut-and-paste simplicity, and four document reviews with Lee, so your records are done right! The end of your homeschool transcript worries! The Total Transcript Solution includes simple DIY instructions, classes to get you started, and easy-to-use templates. Also included: A personal consultation with Lee! This is a really good value, because you can use it for all of the students in your family. You will have access to these resources for all of them. Parents who consider homeschooling their children through high school are often consumed by insecurity, "Are we ruining their college chances?" There's no need to worry. When it comes to college admission and scholarships, homeschoolers have what colleges are looking for! You can craft high school transcripts and records that earn choice college admission and win big scholarships. Lee Binz, The HomeScholar, has helped thousands of parents create outstanding homeschool transcripts and records. Her proven system will teach you how to present your child to colleges in the best possible light. You'll learn how to build a winning transcript (regardless of your homeschool methods or style), how to create credible grades and credits (even if you don't give tests), and how to provide the exact records colleges are looking for. 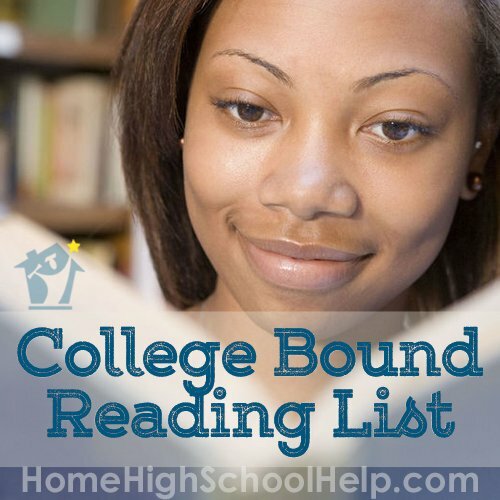 Copyright © The HomeScholar LLC, www.HomeHighSchoolHelp.com. Text may be reprinted without permission if used in full, except for use in a book or other publication for rent or for sale. 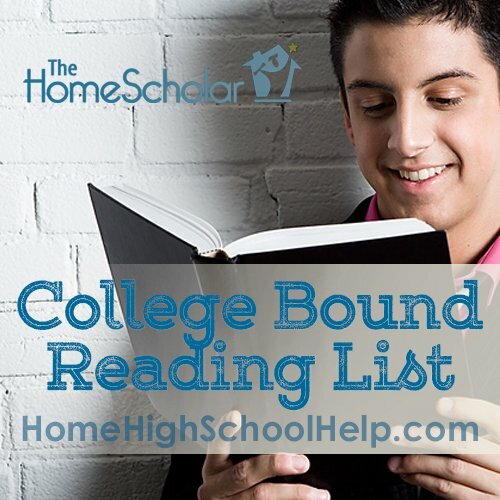 Reprint must include this copyright, bio (below), and the original URL link ( https://homehighschoolhelp.com/college-bound-reading-list).